Rugged Ridge XHD Light Mount Front Bumper Stubby Package Deal for 2007-2016 Jeep Wranglers JK All Models. Note: When installing on 2012-16 Wrangler JK relocating the vacuum assist break pump will be required. Relocation brackets are provided. This four bolt frame mount design provides the toughest bumper attachment found anywhere while creating two overbuilt pull points. This bumper mounts close in on the frame rails, drawing the bumper closer to the body and increasing the approach angle. The narrow overall width gives enormous clearance for the front tires. Each Short Base includes two protected cut outs for your Wrangler JK factory fog lamps. Built in euro-guards protect the fog lamps from the elements while creating an easy mount point. Each Short Base includes side filler plates to close off the ends for a finished look. XHD Bumper Stubby Ends: You love the functionality of the versatile XHD Front Bumper Base in its stubby form, but wish it had more stylish end caps? 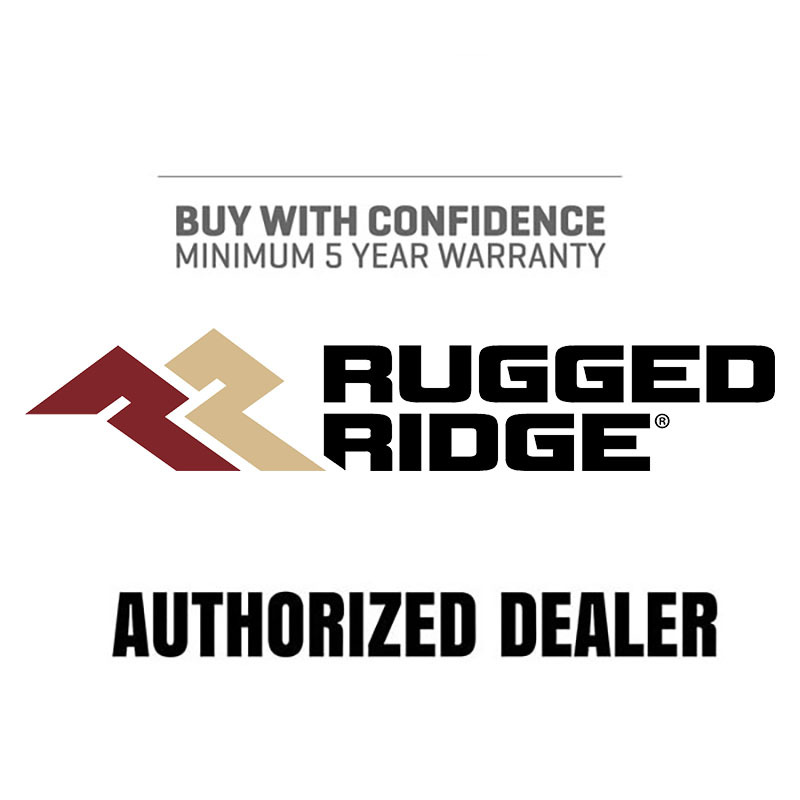 Rugged Ridge has designed the XHD Stubby Bumper Ends with you in mind! The beefy black powder coated steel end caps extend out to the edge of the grille to offer protection, but leaves the wheel wells open for maximum travel and approach clearance. Rugged Ridge XHD Hoop: Add on a durable .120 wall tubular Hoop Overrider to create the ultimate offroad bumper. These are some tough tubes! Will not work with Warn Powerplant Winch W71800.